SWIFT may release additional updates as it learns more about the attack in Bangladesh and other potential threats. The attackers who stole $81 million from the Central bank of Bangladesh probably hacked into software from the SWIFT financial platform that is at the heart of the global financial system, said security researchers at British defence contractor BAE Systems. SWIFT, a co-operative owned by 3 000 financial institutions, confirmed to Reuters it was aware of malware targeting its client software. Spokeswoman Natasha Deteran said SWIFT would release a software update today to thwart the malware, along with a special warning for financial institutions to scrutinise their security procedures. The new developments now coming to light in the unprecedented cyber heist suggest an essential lynchpin of the global financial system could be more vulnerable than previously understood to hacking attacks, due to the vulnerabilities that enabled attackers to modify SWIFT's client software. Deteran told Reuters on Sunday it was issuing the software update "to assist customers in enhancing their security and to spot inconsistencies in their local database records". 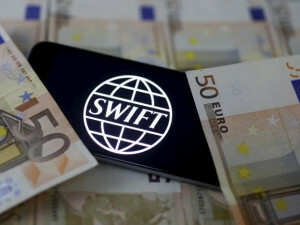 The software update and warning from Brussels-based SWIFT, or the Society for Worldwide Interbank Financial Telecommunication, come after researchers at BAE, which has a large cyber security business, told Reuters they believe they discovered malware that the Bangladesh Bank attackers used to manipulate SWIFT client software, known as Alliance Access. BAE said it plans to go public today with a blog post about its findings concerning the malware, which the thieves used to cover their tracks and delay discovery of the heist. The cyber criminals tried to make fraudulent transfers totalling $951 million from the Bangladesh Bank's account at the Federal Reserve Bank of New York in February. Investigators probing the heist had previously said the still-unidentified hackers had broken into Bangladesh Bank computers and taken control of credentials that were used to log into the SWIFT system. But the BAE research shows the SWIFT software on the bank computers was probably compromised in order to erase records of illicit transfers. Deteran reiterated on Sunday that "the malware has no impact on SWIFT's network or core messaging services". The SWIFT messaging platform is used by 11 000 banks and other institutions around the world, though only some use the Alliance Access software, Deteran said. SWIFT may release additional updates as it learns more about the attack in Bangladesh and other potential threats, Deteran said. SWIFT is also reiterating a warning to banks that they should review internal security. "While we keep all our interface products under continual review and recommend that other vendors do the same, the key defence against such attack scenarios is that users implement appropriate security measures in their local environments to safeguard their systems," Deteran said. "I can't think of a case where we have seen a criminal go to the level of effort to customise it for the environment they were operating in," he said. "I guess it was the realisation that the potential payoff made that effort worthwhile." A Bangladesh Bank spokesman declined to comment on BAE's findings. A senior official with the Bangladesh Police's Criminal Investigation Department said investigators had not found the specific malware described by BAE, but that forensics experts had not finished their probe. Bangladesh police investigators said last week the bank's computer security measures were seriously deficient, lacking even basic precautions like firewalls and relying on used $10 switches in its local networks. "It was their responsibility to point it out, but we haven't found any evidence that they advised before the heist," said Mohammad Shah Alamo, head of the Forensic Training Institute of the Bangladesh police's criminal investigation department, referring to SWIFT. The BAE alert to be published on Monday includes some technical indicators that the firm said it hopes banks could use to thwart similar attacks. Those indicators include the IP address of a server in Egypt the attackers used to monitor use of the SWIFT system by Bangladesh Bank staff. BAE said evtdiag.exe was likely part of a broader attack toolkit that was installed after the attackers obtained administrator credentials. It is still not clear exactly how the hackers ordered the money transfers. Nish said BAE found evtdiag.exe on a malware repository and had not directly analysed the infected servers. Such repositories collect millions of new samples a day from researchers, businesses, government agencies and members of the public who upload files to see if they are recognised as malicious and help thwart future attacks. While that malware was specifically written to attack Bangladesh Bank, "the general tools, techniques and procedures used in the attack may allow the gang to strike again", according to a draft of the warning that BAE shared with Reuters. The malware was designed to make a slight change to the code of the Access Alliance software installed at Bangladesh Bank, giving attackers the ability to modify a database that logged the bank's activity over the SWIFT network, Nish said. It was able to then manipulate account balances on logs to prevent the heist from being discovered until after the funds had been laundered. It also manipulated a printer that produced hard copies of transfer requests so the bank would not identify the attack through those printouts, he said.